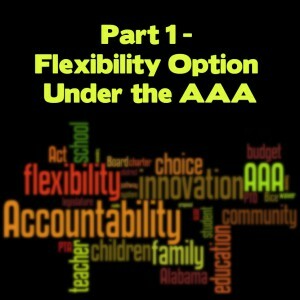 UPDATE: Changes were made to the AAA in June 2015, but the Flexibility Option did not change. The Alabama Accountability Act, or AAA (“triple-A”) to which it is now being referred, was originally passed on February 28, signed by the Governor on March 14, amended and became law without the Governor’s signature on May 20. It is comprised of three parts: (1) the original Flexibility portion, (2) the Tax Credit portion, and (3) the Educational Scholarship portion. 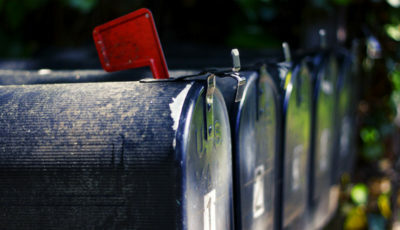 Today’s post will explain the Flexibility portion. In 2012, flexibility was both introduced as a separate bill and also was separately paired with a bill creating charter schools known as the Education Options Act of 2012. That Act was defeated after the House-approved version was drastically altered in the Senate and when sent back to the House for concurrence was not brought to the House floor. 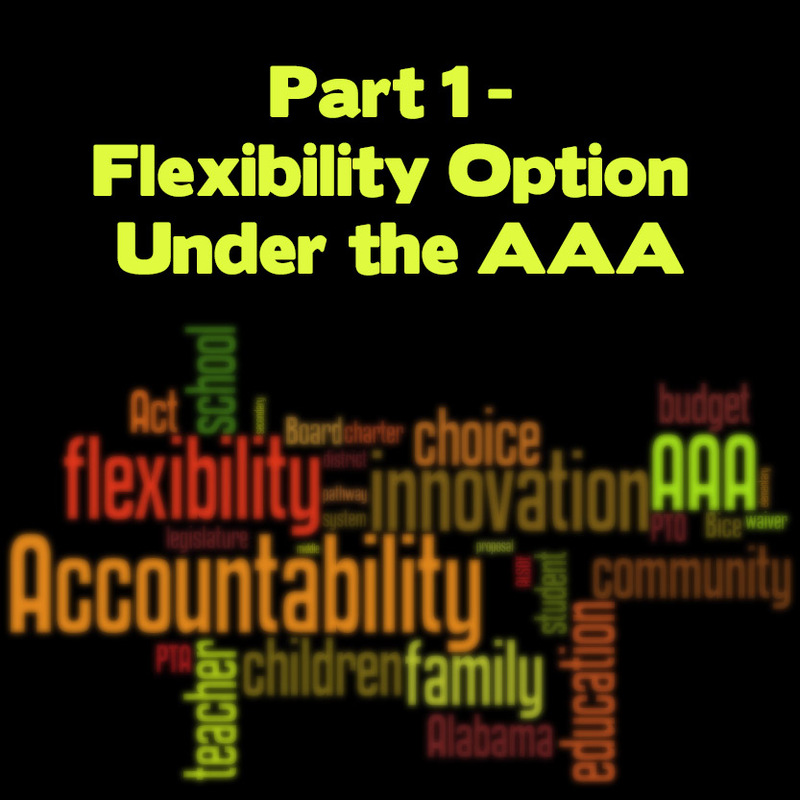 So this year, the Flexibility portion was cut away from the charter school option and was introduced into both the House and the Senate as the Local School Control Flexibility Act of 2013, known as the “Flex Bill”. The House passed one version, HB84, and the Senate added onto HB84, resulting in a Conference Committee being called to reconcile the two. The AAA emerged as a result of the Conference Committee. The night of February 28 was a pretty fiery night in the legislature, from reports here and here. Eventually, HB658 was introduced to amend portions of the AAA related to tax credits and subsequently the two bills, HB84 and HB658, now comprise the AAA. 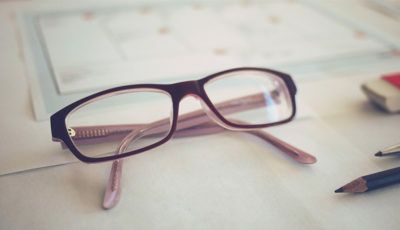 The Flexibility portion (“flex”) was inspired by and drawn from the Innovation School Systems Resolution, passed by the State Board of Education in May 2010. It encouraged and gave a pathway for school districts seeking to waive State Department of Education (ALSDE) and State Board of Education (SBOE) rules and regulations. The 2010 resolution did not give the SBOE the ability to waive state laws, including budgetary restrictions, a.k.a. earmarks. 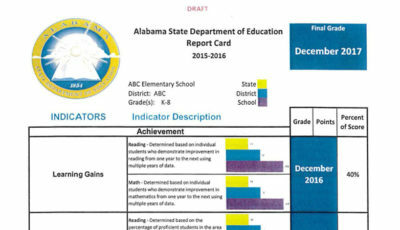 To receive a waiver from ALSDE and SBOE rules, a strict process had to be followed that required oversight and approval by the ALSDE and SBOE. Only two of Alabama’s 134 districts, Florence City and Lawrence County, have sought and received Innovation School Systems status in the past three years. The Flex Bill was designed to give districts a path to seek waivers from state laws and requirements, including budgetary restrictions. Every member of the education family of organizations, with the noted exception of the Alabama Education Association (AEA), supported the bill, including the Business Council of Alabama (BCA), the Alabama Association of School Boards (AASB), the A+ Education Partnership (A+), Council for Leaders in Alabama Schools (CLAS), School Superintendents of Alabama (SSA), and the Alabama Association of School Business Officials (AASBO). I noted the absence of support from the Alabama PTA, but the National PTA has made clear that it supports school choice options, even charter schools, as long as no public funds are diverted to private schools (via vouchers or tax credits, presumably). No state or local PTA can take a position in opposition to the national PTA. But families were certainly noticeably absent from the table. Again. The Act “is building upon the State Board of Education’s exciting Plan 2020 that is underway in Alabama’s K-12 schools. The State Board allows local schools to request relief from rules and regulations through its innovative schools program. This Act is a natural extension allowing local school systems to request relief from certain state statutes in exchange for greater accountability. While the process is summarized above, it is carefully outlined in Sections 5, 6, and 7 of the AAA. The reason I added the emphasis is because this is where you and me and the rest of our school communities come in: any plan to request a waiver from any rule, programmatic or budgetary, must be presented to the public in a public hearing and an opportunity for the community to provide input must be given. If you’re a bit cynical, like me, you will worry whether you will even be notified of any such hearing or request….and you have reason to be concerned given that public notice is not the forte of most local school districts. But know that the AAA does require public notice and input. So we must keep our eyes and ears open. We must ask our parent-teacher organization/association (PTO and PTA) groups to keep their ears to the ground to discover if these flex proposals are underway. With the wide-open ability for superintendents and boards of education to ask for “relief” from state laws and SBOE/ALSDE rules, we as the school community must be vigilant in keeping the door propped open for community input. While PTOs and PTAs are in the best position to do that, we must ask our local media (radio, television, and newspaper) to be vigilant as well. Now that flexibility is an option, all of us in the school community who have ideas about how our schools can better serve our children should be organizing our thoughts and preparing to start those conversations with teachers, principals, central office folks and board members. Many of the reasons that we have been told “no” in the past may no longer be an obstacle with the passage of the AAA. I am not implying that it will be simple to get your ideas on the table for discussion, but if you truly believe that your idea has merit (like adding an Arts Magnet program at the high school and getting a waiver from students having to take certain parts of the high school grad exam the way Florence City did or adding an agricultural pathway in your high school the way Lawrence County did), don’t just dismiss it as “it’ll never happen, why bother”. Please don’t dismiss it. This is our opportunity to have influence in the nature of education in our community schools. There are many operatives at the table of education who are there in the name of Education Reform. Parents and families should have a voice in this, too. Now our voices CAN be heard, through the Flexibility vehicle. Take a moment and read what Florence City did. Here is their site on their Academy of Fine Arts. Spend a few moments checking out their district web site and it will be immediately obvious how folks there are working hard to improve student achievement and expand opportunities for the children in their community. Next read what Lawrence County did. Here is Lawrence County’s web site with information on their Agricultural Initiative. Now think about what your ideal public school might look like and how all the moving parts would co-exist and fit together. Yes, in a way this type of flexibility resembles that of a charter school, and that’s what’s really interesting to me. If you can create some flexibility (which is what the “charter” in charter school stands for) in exchange for additional accountability measures (again, go read the resolutions approving the two Innovative School Systems we have), and still keep the local board in control (which is what was so disturbing to many during the Great Charter Debate of 2012), then isn’t that the best of all worlds? 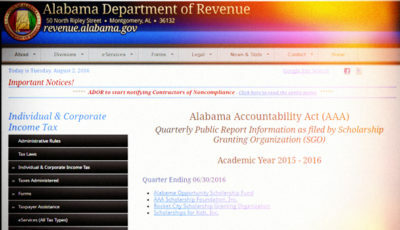 Flexibility in no way opens the door for a charter school to operate in Alabama. The AAA specifically prohibits the formation of charter schools in Section 6(d). And while no charter schools can be formed, the idea of a focus….similar to a magnet school….can be explored with the Flex portion of the AAA. Spend this summer talking with other parents and families about ideas for your schools to improve student achievement and expand opportunities for the children in your community. For ideas, google “types of charter schools” or a similar term. Here’s a link to the Georgia Charter School Association’s member school page. You have to dig a bit and get to the school web sites to learn what their focus (the “charter”) is all about. Yes, I guess you could say I’m excited about the Flex portion of the AAA. But it will only be useful if districts actually use it. At last Thursday’s State Board work session, State Superintendent Dr. Bice in calling attention to the Flex portion of the AAA stated, “we’re also going to be really looking to school systems….to recreate innovative and creative ways to do school”. So organize your thoughts. Put them on paper. Do some research to find out how to make it happen. If you have questions, as always, please contact me. We can also discuss here or on the facebook page. Next up: the Tax Credit portion of the AAA. I asked Dr. Bice the same question. He said that the SBOE Innovative Schools resolution only gave districts the ability to waive SBOE and ALSDE-created rules and regulations. The Flexibility act gave districts the additional ability to waive state laws, including budgetary ones. As I look at the examples you list from Florence City and Lawrence County, I have to ask why we even need the Flexibility portion of the AAA if the SDOE was willing and able to approve such innovations before its enactment. I asked Dr. Bice the same thing. He indicated that the Resolution that the SBOE passed only allowed flexibility from SBOE- and ALSDE-promulgated rules and regulations, but not from anything state law required. The Flexibility Act allows systems to seek waivers from state laws, which include budgetary earmarking.